Pantone Inc. is an American printing company which has its headquarters based in the East Coast state of New Jersey. The company derived the Pantone Colour Matching System for which it is most famous. The Pantone Colour Matching System, as its name suggests, is a method which the company uses to standardize different colours. This means that manufacturers are able to work thousands of miles apart on a particular project and can ensure colour uniformity. Use of the Pantone Colour Matching System is popular in industries such as printing, and paint and fabric manufacture. Some of the major products which are now produced by Pantone are known as the ‘Pantone Guides’. If you have ever spent time choosing new paint colours for your house, you will probably be familiar with the thin pieces of card which contain samples of many different shades of the same colour. Pantone Guides consist of a range of different colour sheets attached at one end so that they can be fanned out. Each shade is given its own unique name or reference number – for example, a particular shade could be referred to as PMS 24. 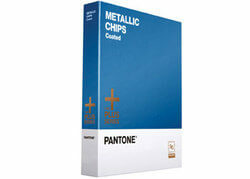 It is recommended that anybody who uses Pantone Guides should update the product approximately once every 12 months. The reason for this is that they can be affected by light and so the colours tend to fade over a period of time. This means that their accuracy will be affected. Such vigilance is an example of the company’s quest for accuracy.